Planning a trip to the Himalayas? Not sure about choosing the best Himalayan adventure? You might be wondering where you should be heading off to this season. If you are an adventurer, explorer and a traveller, Nepal could be the perfect destination for you. Take off to the Himalayas. 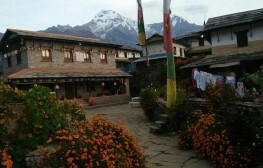 There is something for everyone in Nepal, from soft treks for beginners to adventure treks, there is a wide range of tempting Trekking in Nepal packages, you can choose on your best discretion. Here are three of the best treks in Nepal, that is definitely affordable, fun and absolutely adventurous. Listed below are some of the Himalayan adventures in Nepal. 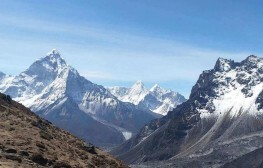 The name “Everest” evokes a sense of belonging, Everest Base Camp Trek is also considered to be one of the most sought-after treks in the world. A trek to the base camp of the highest mountain in the world, in itself, arouses a sense of accomplishment. This trek is sure to be on the bucket list of most adventure seekers, the rugged terrain coupled with the stunning vistas of the surrounding mountains and a chance to experience the indigenous “Sherpa” lifestyle sure makes this trek the best value trip. Tread on the historic route taken by the first people to scale the Everest, discover the charms of ancient Buddhist Monasteries and test your fortitude as you trek up steep ravines. Observe the splendor of some of the other highest peaks in the world, like Lhotse, Cho Oyu, and Makalu. 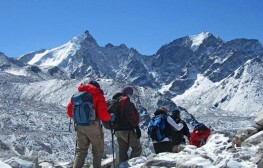 We are sure you are going to love this Himalaya adventure trek from the core of your being. 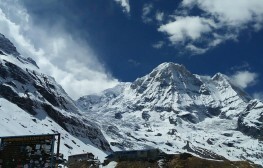 Another popular Himalaya trek for beginners, the Annapurna Base Camp trek is a moderate but a very romantic trek. This trek takes you to the base camp of the 10th highest peak in the world, the trekking trail is considered to be one of the most scenics, as you pass through lush green forests dotted with bright red Rhododendron flowers. In comparison to the Everest Base Camp, as being less strenuous it is popular with trekkers of all ages. We assure that you are going to love this trek as you get to experience the Nerpali countryside as well as the Himalayan peaks. You will have a lot of memories to take back home as this is definitely the best Himalaya trek for beginners. You can even do this trek with a loved one, or it would be a perfect honeymoon gift for a couple this year. If you are thinking of doing something different this year, take off to the Himalayas in style. 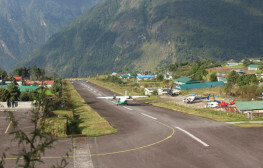 Fly to Everest Base Camp in a helicopter and hover above the tallest peak on earth. The Everest Heli Tour is one of the most popular day tour packages, designed to offer you maximum fun as well as unforgettable memories. 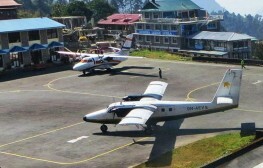 Get close to Mount Everest and fly directly over it in a matter of hours, after taking off from the city of Kathmandu. 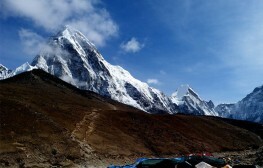 The other highlights of this trek are brief stopovers at high altitude spots Kala Patther and Shyangboche. If you have limited time or fitness issues but want to experience the HImalayas, then this is the trip for you. From the comfort of the helicopter, you can watch the great Himalayan unfolding before your eyes. 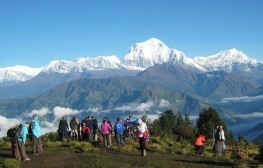 Enjoy incredible vistas and gaze at the world's highest peak (Mount Everest) up close. This will be one of those adventures which will remain in your heart and mind forever. Nepal is a country, full of surprises! If you have not yet visited Nepal or are planning to, you can bet that this rugged country in the Himalayas has something for everyone. 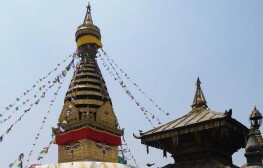 Come and experience the best of Nepal!